Skin Types 4 & 5 recipes are optimized for clients with higher levels of naturally occurring melanin who may complain of excess oiliness. 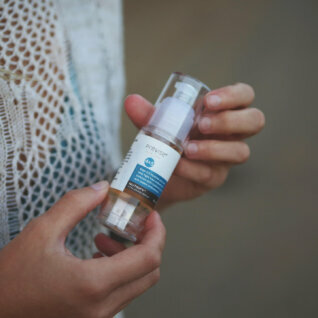 We added humectants to help lock in moisture to protect dry skin against classic symptoms of brittleness, roughness, unevenness, faintness, and itching. We were excited to discover the benefits of honey and rosemary, which are featured in these formulas. The antioxidants in honey are thought to be a nutrient supply for the growth of new tissue, while the compounds from rosemary help fight against mutagenic effects of radiation. Lastly we added wasabi. A favorite in Japanese restaurants, we are utilizing wasabi extract as an anti-inflammatory and anti-microbial to boost to the skin’s defense against excessive sunlight. 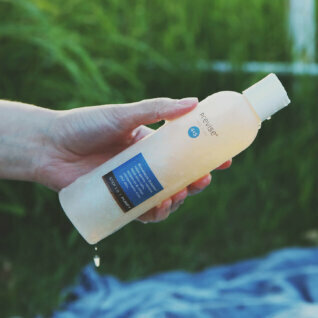 We complemented our Skin Type 4 & 5 regimen with a hint of tea tree oil. The essences of rosemary and tea tree combined help infuse the series with aromatherapeutic benefits that include feelings of contentment as well as a demonstrated ability to reduce cortisol levels and stimulate our immune system. 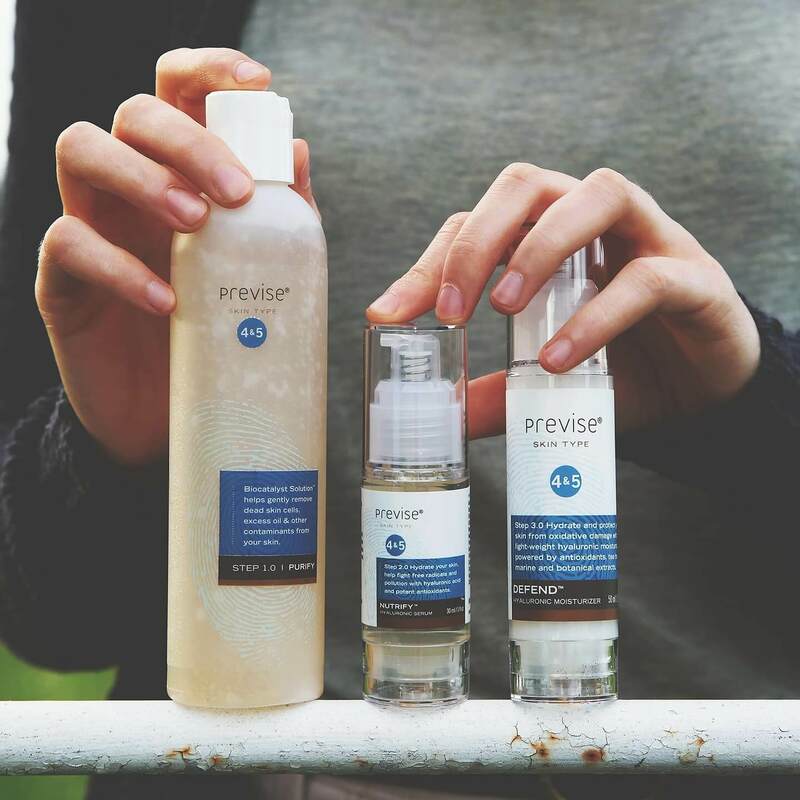 As with all Previse products, our recipes are customized with the appropriate level of ingredients to achieve optimum skin health. 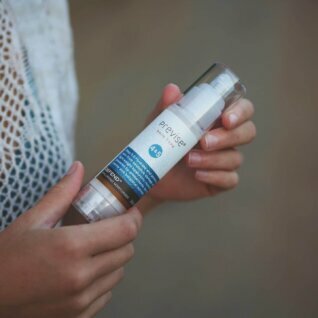 Hyaluronic acid is added at varying degrees to improve cell cohesion and the barrier function of the skin while maintaining hydration through a “water reservoir” function in the dermis. 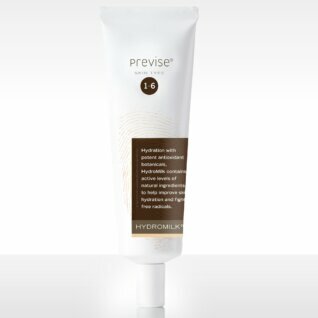 A highly specialized soy bean extract is added to help restore skin’s elasticity, increase collagen density, and enhance collagen synthesis. We further infuse our formulas with Panthenol (vitamin B5) and Resveratrol, a potent antioxidant to scavenge free radicals and protect the skin’s surface from oxidizing.